r Collie. Her primary breed is undetermined, the secondary level is strongly positive for hound and the third level is also undetermined. The hound would explain the “baying” in the yard at any and all “critters”. 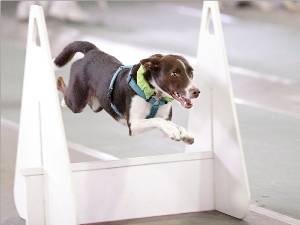 Her flyball career was a very successful one and she was a height dog for the team. 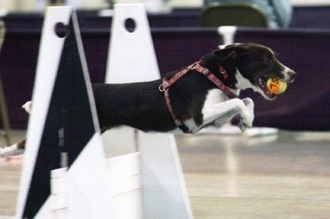 She was a very versatile dog that could run in any position in the lineup. One of her biggest assets was that she would play for anyone that held the cheese. She even allowed me to judge while she was running for someone else. t her FD at FF’s June 2006 tournament. She achieved her FDGCH 50K title in July 2010 at Clean Break’s tournament. She got her HOBBES in March 2014 and retired from the sport with a total of 113318 points.